WWE is known to produce and license everything imaginable. But sometimes there are things that leave you scratching your head. 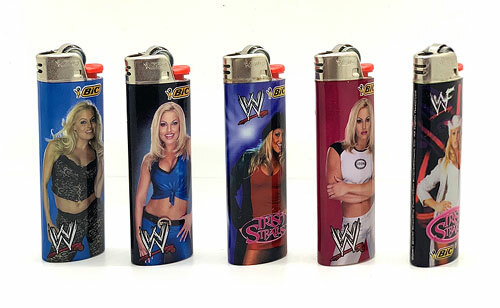 We present the weirdest Trish Stratus items out there! A whole new meaning to toweling off. This should help warm you up. This may seem a little cheesy, but this was a thing! 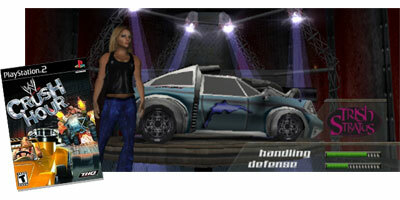 Wanna drive in a destructive Trish vehicle to do combat? That was a real thing in a PlayStation 2 video game! This t-shirt was produced in 2004. Something we would certainly not see in today’s PG era! Do you own any of the above or something not listed? Let us know in the comments below!